The TRDB_DC2 is a 1.3Mega Pixel Digital Camera module that provides everything you need to develop a 1.3Mega Pixel Digital Camera on the Altera DE2/DE1 Board and Cyclone II Starter Kit. 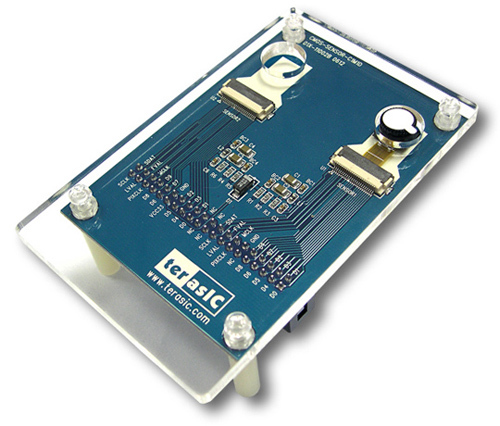 The kit contains hardware design (in Verilog) and software to load the picture taken into the PC and save it as BMP file. The Getting Started User Guide shows users how to exercise the digital camera functions.